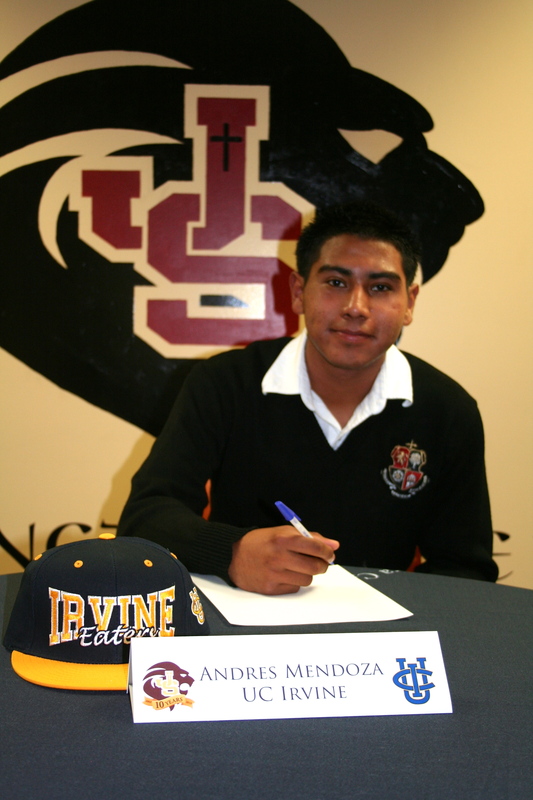 Andres Mendoza, JSerra senior and soccer center midfielder commits to UC Irvine. Congratulations to Andres Mendoza for signing his letter of intent, to play for the Anteaters at the University of California, Irvine. The center midfielder has had a successful high school soccer career as a Lion and looks forward to beginning his college career as an Anteater. To see more photos and other soccer college commitments from 2012-2013 click Lions.